Winner of a 2009 Preferred Choice Award by Creative Child Magazine! "Share a joke or a dream. Make someone feel good. We need laughter, hugs, and to be understood.... Though we seem different, inside we're the same. Our hearts are for caring, no matter our name." Arlene Maguire's delightful rhymes take the listener on a journey of discovery. 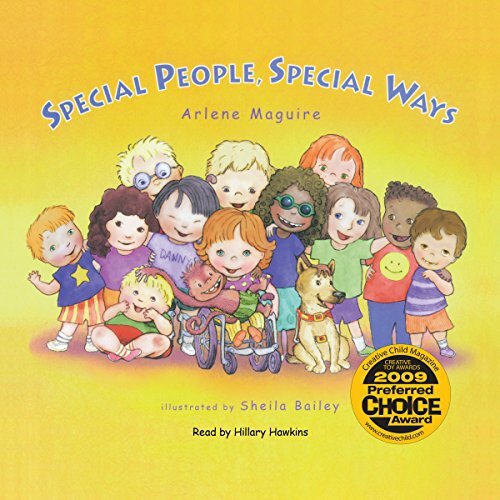 The book portrays positive descriptions of children with various disabilities. Winner of an iParenting Media Award, this book says that beyond our physical limitations is a world of unique gifts for each of us to share. Teachers and parents can use this book to promote understanding and tolerance at school and at home.